Before we can help anyone to get better, it is important to observe and question them carefully. Is that which is ailing them acute, chronic, severe or just transient and superficial? There are numerous ways of assessing health and wellbeing, two interesting methods have come from homeopathy. http://www.biopathica.co.uk/6 Phases Of Disease.htm. This table at first glance looks complex, but as you will see with practice, it is very easy to use. The homotoxicology DET lists symptoms due to endogenous and exogenous body toxicity and is comprehensive in its approach. To illustrate this, let’s look at the respiratory system. In the excretion phase of respiratory disorder, increased sputum may be noticed. In the inflammatory phase, symptoms such as acute bronchitis or tracheitis may be observed. In the deposition phase, nasal polyps may arise. Then there is a biological divide between the first three phases (comparatively simple to address) and the following three (which are more severe and difficult to treat). The impregnation phase of respiratory disease is next in increasing severity, which presents with conditions such as asthmatic bronchitis, chronic viral tracheitis and cystic fibrosis. The next phase is the degeneration phase, in which conditions such as chronic obstructive pulmonary disease and atrophy of the bronchial mucosa occur. Finally, in the dedifferentiation phase we see mutagenic diseases such as bronchial and/or tracheal cancer. 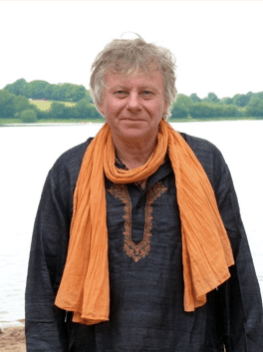 Professor George Vithoulkas is an internationally renowned homeopath. 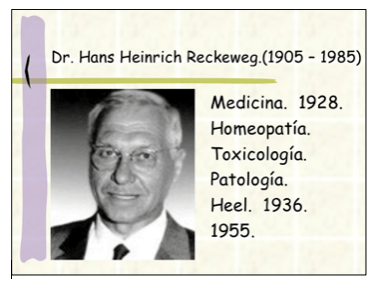 He is the director of The International Academy Of Classical Homeopathy in Greece. In 2010, he published ‘Levels Of Health’. This book describes how every organism functions on a certain level of health. He submits that it is difficult to qualify how many levels there are, but to provide us with a practical working model for daily practice, he describes 12 levels neatly divided into 4 groups. At the top of the scale, we find organisms with a good general health along with a well functioning immune system. People in this group have good healthy genetic predisposition. As we go down the scale, the strength of the defense mechanism becomes weaker and weaker and the immune system degenerates, likewise the tendency to develop serious pathology increases. As the defense mechanism is strong at the top of his scale, it is less likely that deep degenerative diseases will manifest, unless of course, tremendous stress activates an underlying hereditary condition. Professor George VithoulkasHe explains and I quote: “It is however important for the homeopathic practitioner to understand that almost any pathological condition may arise at any level, but that the prognosis is different according to which level of health the patient belongs. This means, for instance, that cancer appearing in a patient who is on level one will be curable – with the correct remedy – while the cancer occurring in a patient with a lower level of health will be either much more difficult to treat or will be incurable”. These two differing insights into the levels of wellbeing briefly considered, should help us understand why one person gets better more easily and quickly than another. Whatever treatment modality we are using, be it Ayurveda, western herbalism, homeopathy or acupuncture, knowing the level of health of a person, gives confidence to the professional, but also gives a realistic expectation of probable outcome to the person consulting them for advice. Which of the two systems you choose to work with is entirely up to you of course. There is no universally accepted single method. I personally, try to incorporate the strengths of both. You may want to do the same, or there again, design your own way of assessing a person’s wellbeing and invent your own unique approach? ‘Introduction To Bioregulatory Medicine’ by Alta Smit et al, published by Thieme 2009. ‘Levels Of Health’ by George Vithoulkas and Erik van Woenel, published by The International Academy of Classical Homeopathy 2010. Colin I.H. Perry is a Naturopath with an interest in Ayurveda, Homeopathy and Homotoxicology.